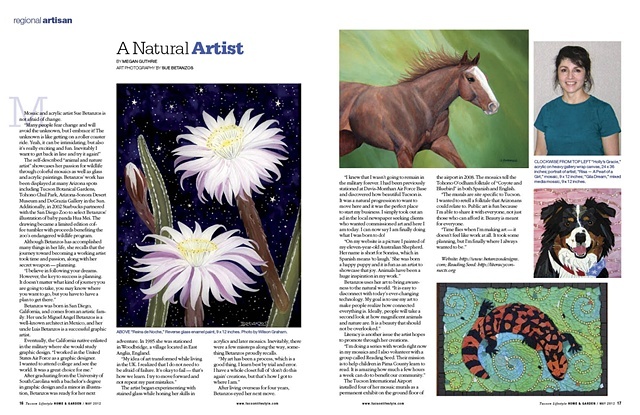 A two page article featuring a variety of my work. The article can be found in the May 2012 issue on pages 17 - 18. The Pima County Libraries carry back issues to read. Or contact me and I will send a PDF file of the article.